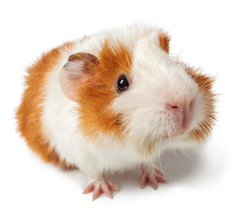 Lab Supply now has a great selection of certified feeds for guinea pigs in our selection. We are happy to provide an irradiated feed in our selection of certified guinea pig feed. When a feed is irradiated, it is exposed to gamma radiation in order to kill any microorganisms living in the feed. This feed has also been created with high-quality ingredients in an effort to minimize the genetic variation of subjects in long-term studies. This feed is nutritionally complete and can be fed to guinea pigs at all stages of their life. If you need your guinea pigs to consume a virtually bacteria free feed, then Certified Guinea Pig Feed – Irradiated, is the perfect feed for you. If you are interested in this great feed, then please click here to view the product PDF. Here at Lab Supply, we are committed to making sure you find exactly what you are looking for. If you have any questions about this great guinea pig feed, then please click here to visit our contact page. We will be more than happy to answer any questions you may have.